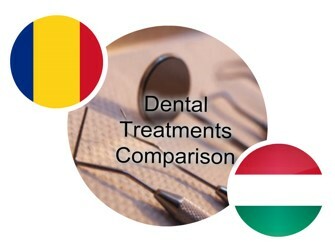 Romania offers very affordable dental treatments and Hungarians are some of the tourists who have discovered the advantages of dental traveling to one of their neighboring countries. Because Romania is Hungary’s neighbour, traveling to and from the two countries is highly accessible and fast. This is an enormous advantage and one of the reasons why people prefer to take a trip to Bucharest and benefit from more accessible prices for dental treatments. 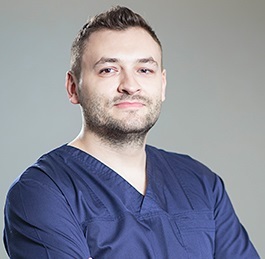 Our dentists in Bucharest specialize in a number of important areas, like dental implants, cosmetic dental procedures and even specialized dental care, like pedodontics. Dental implants are some of the most sought after dental procedures. Because the complexity level is high and it requires the use of special materials, these types of procedures are often pricey and people postpone the need for a tooth implant because they are not willing to pay the price. 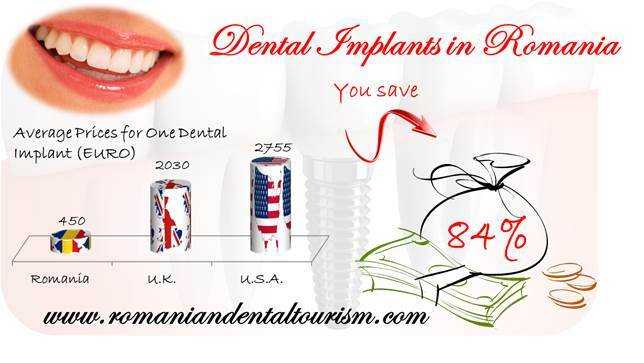 In Romania, our dentists can offer you special packages for dental implants. Our dentists will offer you an evaluation and afterwards will discuss the best treatment plan with you. Dental implants are a procedure that requires time and you may need to visit us more than one time. However, as a Hungarian patient you will find that transportation costs are very affordable from Budapest to Bucharest. The prices for the most common dental procedures in Romania are, on average, more affordable than in Hungary. For example, the price for a dental implant in Hungary can start at approximately 560 euros, while in Bucharest our dentists have a starting price of approximately 450 euros. Also, we use the best materials on the market, including porcelain crowns. Our team of dentists will be able to give you a complete and detailed offer of our services if you contact our dental office in Bucharest. When travelling from Hungary to Romania, tourists coming from Budapest can choose to travel by plane, by train or even by personal car. Accommodation in Bucharest will be affordable: central hotels have a starting price of approximately 40 euros per night per person for three star hotels. Transportation is also less expensive than in Hungary: tourists can choose to travel by taxi within the city, for 0.30 euros per kilometer. Dental patients from Hungary can also choose to travel outside Bucharest to discover the most beautiful places Romania has to offer. If you are interested in dental treatments in Romania, we can help you plan your dental trip.